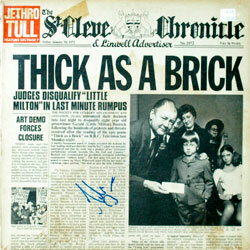 All Jethro Tull items listed below are authentic and very limited. We do not carry multiple items. All prices and availability are subject to change. All prices include shipping and handling for all USA customers. All other destinations will require actual shipping cost to complete transaction. Have a question? Ask us before purchasing the item. Thank You. Description:Jethro Tull 8x10 Promo Photo. Signed by complete original band in black and red sharpie pen. 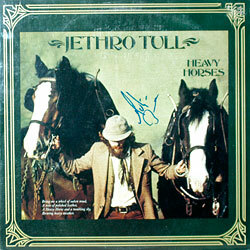 Note: Item signed while on Jethro Tull's 1975 US Tour backstage at the Hemisfair Convention Center in San Antonio, TX. Description: Heavy Horses LP. Signed by Martin Barre in blue sharpie pen. 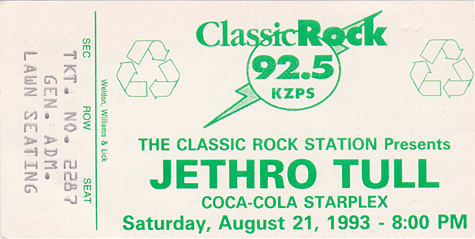 Note: Item signed on Jethro Tull's 1998 US tour at the Bronco Bowl Arena in Dallas Texas. Description: Thick As A Brick LP. 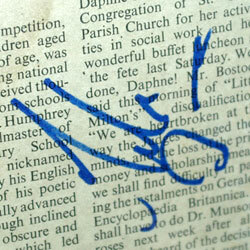 Signed by Martin Barre in blue sharpie pen. Original newspaper fold out LP. 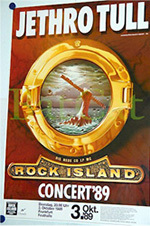 Description: 1989 Jethro Tull German Concert Poster. Size 24x34. Item in VG+ condition. Shipped Rolled.. Description: Full Ticket in mint condition. Size 3x8 vintage ticket. Comp written in blue pen. Description: Full Ticket in VG+. Size 3x5 vintage ticket. Two color.